The ‘Self-Interned’ Art & Legacy of Isamu Noguchi on View #AsianPacificAmericanHeritageMonth « Adafruit Industries – Makers, hackers, artists, designers and engineers! Executive Order 9066 is a blight of particular execution and consequence in America’s history, resulting in the internment of over 100,000 people of Japanese ancestry in camps throughout the western states of these United States. Shockingly, a majority of those interned were US-born, therefore clearly violating their Fourteenth Amendment rights under the Citizenship Clause. One such notable citizen – himself of mixed-race heritage – was Los Angeles-born Isamu Noguchi, whose father was born in the Aichi Prefecture of Japan and whose mother was born in NYC of Irish ancestry. 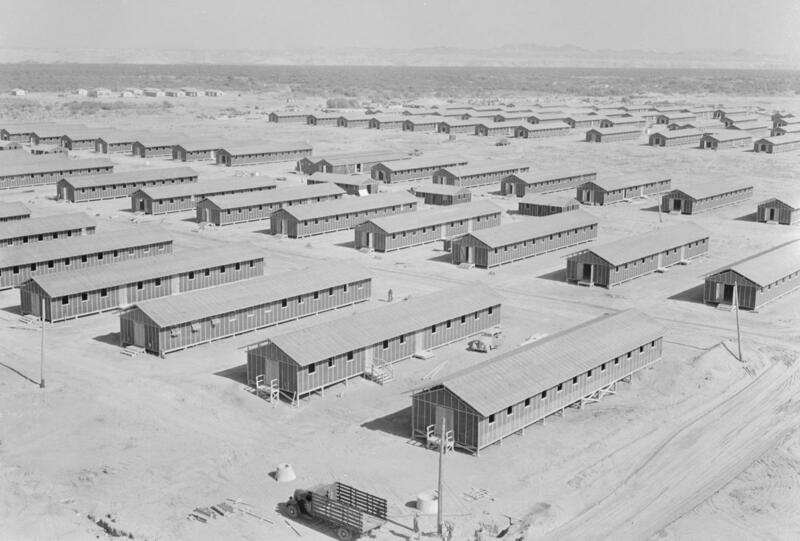 All of that wouldn’t matter when, at the age of 37, Noguchi drove to the Postam War Relocation Center (seen above) in the Arizona desert and voluntarily submitted himself for internment in the camp there. His plan was to use arts & crafts to make life at the camp more humane, more bearable. This included drafting plans for reworked grounds, pools for fellow internees, even baseball fields. 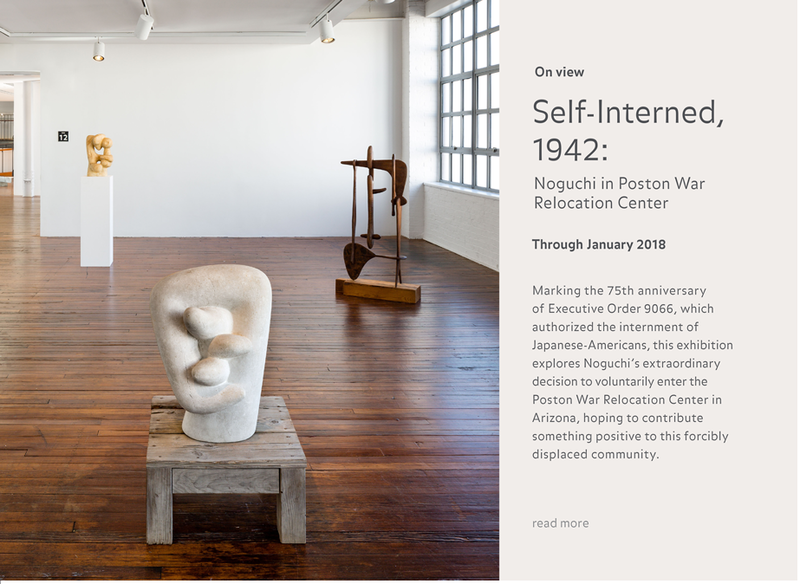 Some of his plans, along with the sculptural work he created before, during, and shortly after his life at the camp, are currently on view in an exhibition at his namesake Noguchi Museum in Queens, NYC: Self-Interned, 1942: Noguchi in Poston War Relocation Center. This museum and other resources and spaces in the greater Long Island City neighborhood are part and parcel of why I moved to LIC and Queens over a decade ago. And this museum and exhibition will remind – or awaken! – you of the possibility of art in an age of persecution and war. Yes, it’s powerful stuff. And one of many reasons why I’m glad to call America’s most diverse county home. Read a NY Times review of the exhibition with additional context here; read a fantastic New Yorker article also with additional historical and exhibition context here; read more about the exhibition here.